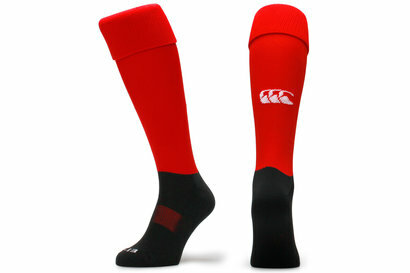 Perfect for match days and training, pull up these quality Canterbury CCC Cap Rugby Playing Socks in Flag Red and Black. 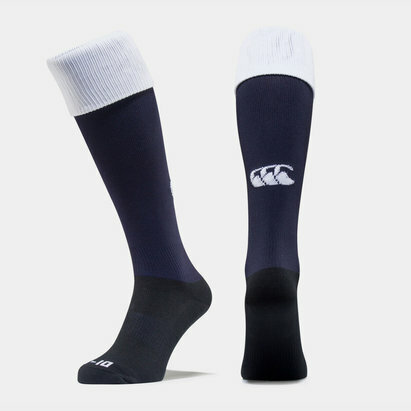 Made from a nylon, polyester, cotton and elastane mix, these socks from rugby clothing and equipment specialists Canterbury are comfortable and durable, which means you can trust they won't let you down during a game. With a simple design, the CCC logo is stitched into their look. Every player needs a pair in their kit bag, so why not choose these Canterbury CCC Cap Rugby Playing Socks?